The jeep ride to the summit of Hurrah Pass was fun and scenic. We saw bands of four wheelers, mountain bikers and dirt bikers on the trail out enjoying the 75 degree spring weather. This is a very active BLM recreation area with primitive camping and a load of trails. 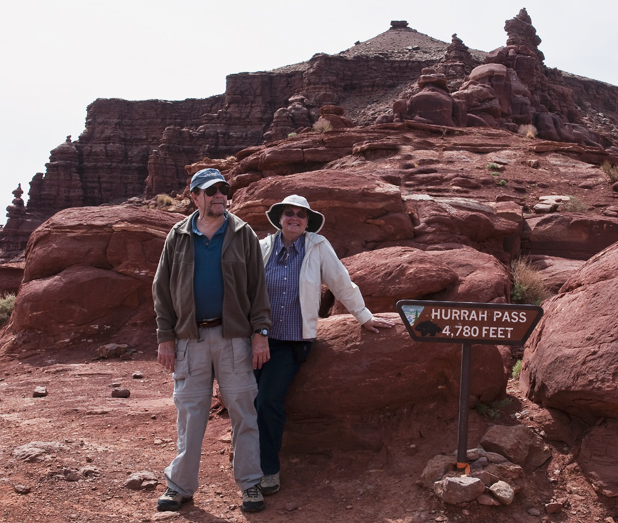 The view from the summit was of the Colorado River, Dead Horse Point and Canyonlands.